We announced the winners of the third City on a Cloud Innovation Challenge, a global program to recognize local and regional governments as well as technology companies that are innovating for the benefit of citizens using the AWS Cloud, at our AWS Public Sector Summit in Washington, DC. Winners of the four categories, Best Practices, Dream Big, Partners in Innovation, and new special recognition, the Cloud Innovation Leadership, are awarded a total of $550,000 in AWS credits for AWS services. 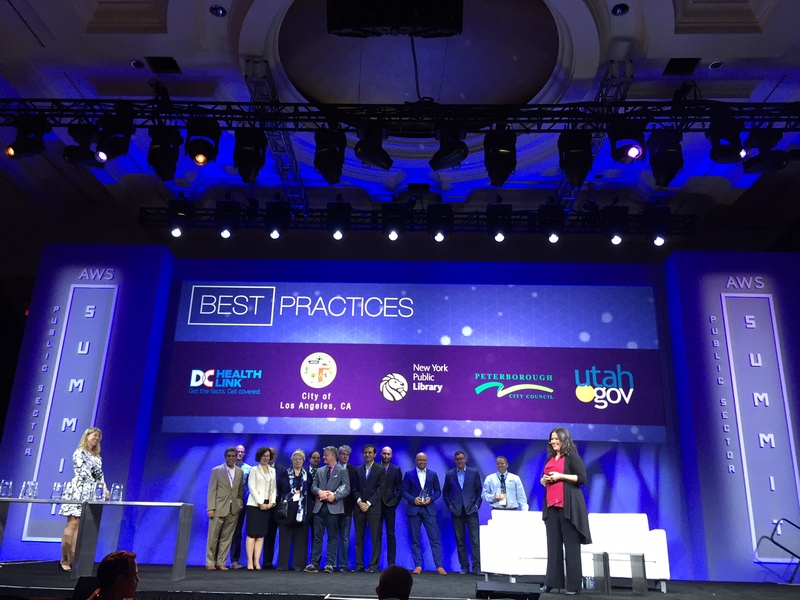 Five winners were selected for the Best Practices Award, recognizing innovative and impactful local government projects running on the AWS Cloud. To learn more and hear directly from the Best Practices Winners read below. City of Los Angeles, California – Managing the world’s sixth busiest airport, the largest seaport in the western hemisphere, and infrastructure supporting four million residents, the City of Los Angeles implemented a security information and event management (SIEM) solution for its cyber command center on AWS GovCloud (US) to help consolidate, maintain, and analyze security data across the city’s departments. District of Columbia Health Benefit Exchange Authority – DC Health Link is Washington, DC’s health insurance marketplace, which helps residents obtain quality, affordable health coverage. By moving to the AWS Cloud, DC Health Link adopted an agile delivery model, and re-architected the website using open source technology; resulting in a 23 percent increase in enrollment over the prior year, increased website performance, and a cost savings of 30 percent annually. Peterborough City Council, United Kingdom – Peterborough City Council uses the AWS Cloud as the central hub for integrating data from weather stations, smart energy meters, connected devices installed in people’s homes, and automated libraries with council’s core applications. New York Public Library – The New York Public Library’s Digital Collections platform, on the AWS Cloud, makes thousands of its rare and unique research collection items (which cut across applied sciences, fine and decorative arts, history, performing arts, and social sciences) accessible for free to public. State of Utah – The State of Utah driver license practice exam uses the Amazon Echo and Alexa voice technology to help drivers practice for the exam by reviewing questions, while talking directly with Alexa, the Amazon cloud-based virtual assistant. Hosted on AWS, the voice activated practice exam is a new way for drivers in training to learn the rules of the road. To learn more about the City on a Cloud Innovation Challenge, visit http://aws.amazon.com/stateandlocal/cityonacloud/.